Satchmi opens its very first store at SM megamall, 4th floor Megamall fashion hall. 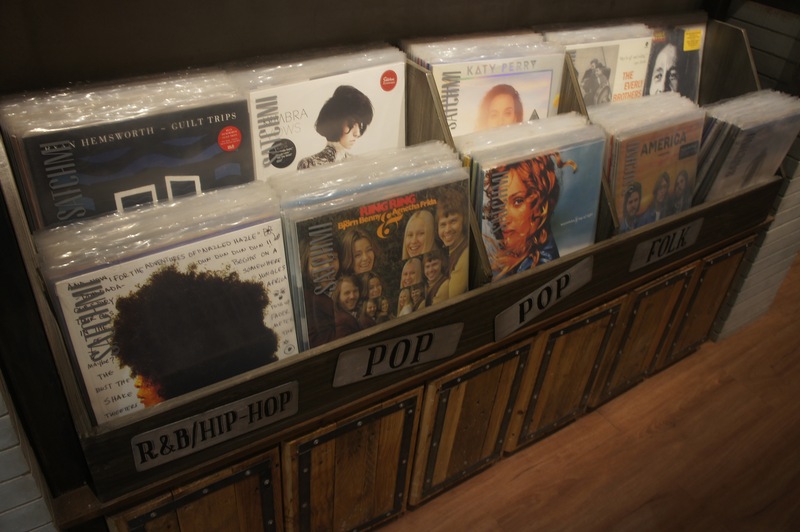 This store offers vinyl players, vinyl discs, books to read, journals and coffee. I love how you could actually come here to listen to their demo tracks in the listening room. They also offer all kinds of different genre of music, be it old or new. 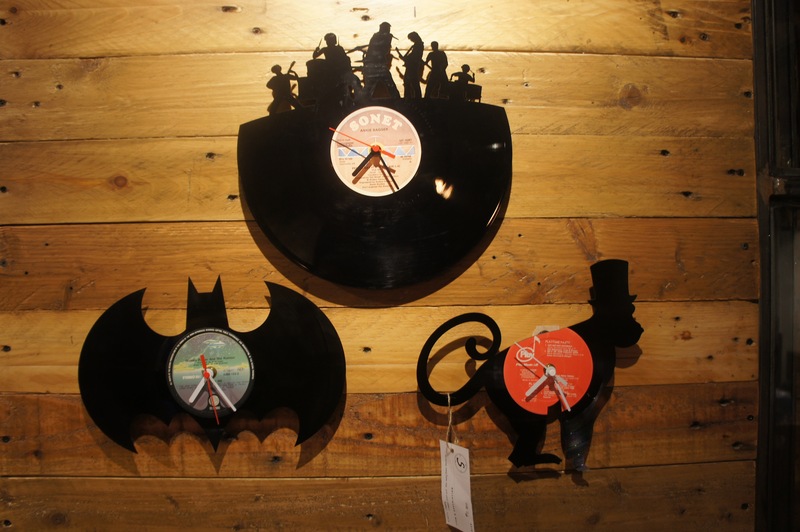 If you are a music lover you would definitely want to check out this store. There are so many players that you could choose from. This isn’t even half of the number of records that they have here at the store. You could also come here to have some coffee with your friends for only Php 100-140 pesos (very reasonable right). If you’re in the mood to read some books. They have some books here on their tables that you could read. I find it really cool that there are more and more interactive places like this popping out around Manila. Vinyl records are of course known to have better sound. 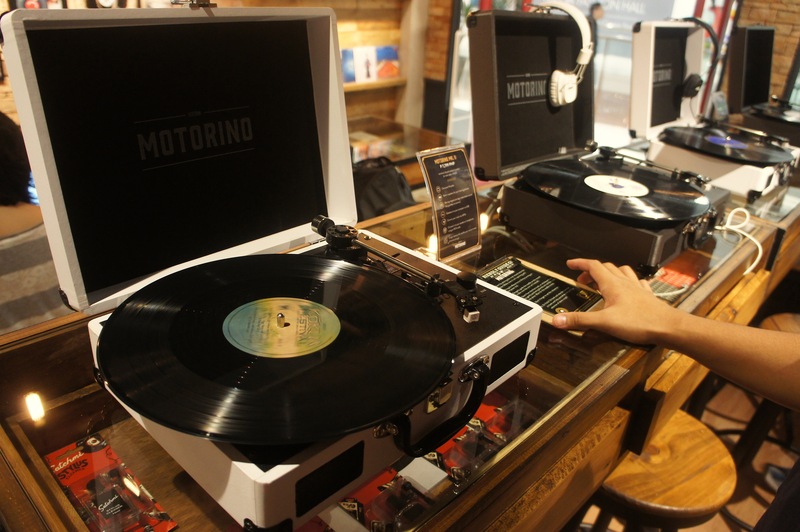 After coming here, I am convinced to buy myself my own Vinyl player for Christmas. Where I could make use of all of my dads old Vinyl records. For music lovers, this place would be like their dream land. 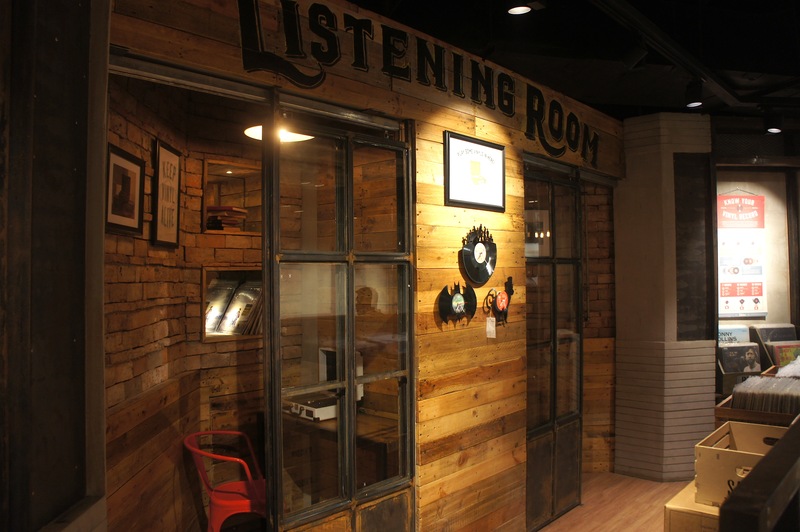 Check out their cute listening room. Very cool right?